The development of social skills also depends on interaction and activity with other children. Even though toddlers do not cooperate, share or make friends until their fourth year, if they have been given plenty of opportunities to play with other children, they will be at an advantage when they go to toddler group or preschool. Parents and practitioners can assess social skills by observing how toddlers play and interact with other children. If there are any delays, activity-based strategies can be developed to ensure optimal social development. • Genetic predisposition. • Psychological and heath factors. • Cultural values and beliefs. • Attitudes and aspirations. • Positive role models. • Play opportunities. • Interaction with other children. • A safe, nurturing and stimulating environment. • Maturation of the nervous system. Social development is a dynamic and interactive process in which temperament, personality, experiences with parents and carers, cognitive abilities, language and communication skills influence the outcomes. Solitary play - babies play alone, but they may study the interactions of other children with toys and verbalize as though engaged in conversation with them. They may become assertive over their possessions or show aggression towards other babies for no obvious reason. Onlooker play - toddlers watch other children play, but they are unable to participate socially. However, they are very alert to their play activities and when alone, they may imitate their actions. Parallel play - two year-olds play alongside other children and they may make intermittent interactions with them. However cooperation and give-andtake are limited. They may grab the toys of other children, but learn valuable social skills in the process. Associative play - in the third year, there may be some materials shared, but there is no common goal. However, the foundations for cooperative play have been formed and gradually with adult help, toddlers learn to cooperate. Cooperative play – in their fourth year, children interact and work together to solve problems. In so doing, they take account of the needs of others and they build friendships. Social development starts at birth and continues throughout childhood. It is a process that is closely linked to emotional development. There is a wide variation in the age at which toddlers acquire social skills. If the toddler has not reached a particular stage, this does not mean that there are any developmental problems. Newborn babies learn social skills through reciprocal interactions with other people. The first social signals include eye contact, smiles and animated body movements, which become more specialised in the months to come. Six to nine-month-old babies often respond aversively to social situations. Fear of other people and separation anxiety suggests that they recognise which relationships are passing, and which ones are stable. Shyness and a fear of strangers are common traits in the first part of the second year. When toddlers become more mobile, they eagerly explore their world and engage with other people. By the end of the second year, they may imitate the actions and behaviours of other children and take an interest in their play. However, kicking, biting, stubbornness and temper tantrums are common (EYE, The Eye of the Hurricane, August 2011). Unacceptable behaviour usually diminishes by the end of the second year as toddlers learn what is expected of them. Two-year-olds tend to be very self-centered, but even so, they generally want to help and please. By the time toddlers reach their third birthday, they have developed an understanding of how other people think and feel. They enjoy the company of other children and they will interact with them and wait briefly for their own turn. Pretend play becomes a prominent activity, where toddlers take on roles and express their ideas and feelings about the social world. Research suggests that parents (and older siblings) are major role models for toddlers. In fact, a great deal of their behaviour is influenced by what they see others doing. For example, if parents model positive characteristics such as kindness, politeness, honesty, respect, self-discipline, courage, love, tolerance and compassion, toddlers will imitate the behaviours. If parents set a good example, toddlers are more likely to behave in the same way. Play is an important part of social development. It provides the opportunity for toddlers to imitate the actions of others, to rehearse future roles, to coordinate their feelings and ideas and make sense of their experiences. Play can be divided into a number of different types from free-flow play to structured and group play. These divisions enable parents and practitioners to plan activities and resources. Toddlers initiate free-flow play. They decide what toys interest them the most, how they will explore them, how long the play will last and when they need support or help. The adult provides the materials and equipment, a safe and secure environment, reassurance, praise and encouragement. • Pretend play with dolls, soft toys and tea-sets. • Acting out scenarios with small world figures. • Taking care of toy animals. • Preparing food. • Playing in a den or tent. • Dressing up as a princess or pirate. • Talking on a toy telephone. During free-flow play, the adult does not intervene unless a helping hand is needed. Every now and then, the toddler will make eye contact with the adult as if to say “Be there for me, but don’t do anything unless I need you.” Checking the adult’s reaction (affective tuning) is an important step in the growth of social awareness in relation to other people. The toddler may also exchange positive greetings with other people, show them a toy and smile before returning to their play (affective sharing). Structured play is planned, organised and adult-led. Interactions with parents, carers, friends and siblings can help build the social skills that toddlers need for healthy development. The following activities will interest and engage toddlers. However, they are easily distracted, so they may not listen, sit still or join in for very long. • Household chores such as dusting, baking and helping with the laundry. • Picture and storybooks. • Craft activities that involve cutting, sticking and painting. • Water play with sponges, plastic cups and other tools. • Messy play with dough and malleable materials. • Hide-and-seek. • Music and movement. • Action songs. • Simple games. Parents and practitioners do not need to spend all their time structuring play opportunities. Gradual disengagement from involvement in their play can be beneficial. Nevertheless, toddlers need adults to facilitate their play and value and appreciate their achievements. Toddlers need to be with other children in order to learn important skills such as negotiation, turn-taking and cooperation. • Waving a parachute up and down. • Playing football and other team games. • Treasure hunts. • Puppet shows. • Hide and seek. • Music-making. • Having a picnic or party. • Rough and tumble. • Follow-the-leader. • Building and construction. • Outings and nature walks. Through group play, toddlers learn to get on with other children, how to sort out conflicts and how to compromise. Occasionally, practitioners will need to help toddlers manage their emotions or actions within the game or activity. However, forcing toddlers to cooperate with other children can delay the development of sharing skills. Toddlers do not make real friends or play together with other children until they are at least three years old. Before then, they may have bouts of separation anxiety and they may shy away from new social situations. Insisting that toddlers interact with other children can make them very uncomfortable. If shyness is handled with patience and calm understanding, toddlers will make social advancements at their own pace. 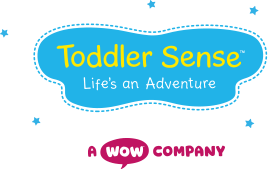 • Join a toddler group, where toddlers can see other children having fun in an informal atmosphere. • Dress them up like other children so they do not stand out. • Gradually introduce toddlers to their peers, but don’t force them to get involved until they are ready. • If the toddler is unable to cope, ensure that familiar objects and cuddles are readily available. • Encourage toddlers to make just one friend. This will give them confidence in the social setting. • Keep organized playtime with other children short (an hour or so for younger toddlers; two hours for older ones). • Build self-esteem and confidence by praising every effort to play and interact with other children. • Exchange contact telephone numbers, email addresses or Facebook details with other parents. If an opportunity to get toddlers together comes up, they will be easy to reach. A checklist can be useful to see if social skills are developing well. However, variations may occur if toddlers feel tired or unwell. If they show few of the following traits, they may benefit from the strategies described above. • Is usually happy and content. • Copes adequately with rebuffs or other disappointments. • Shows an interest in other children. • Plays willingly with other children. • Interacts with positive body language. • Expresses feelings appropriately. • Waits for his or her turn for a short period of time. • Is invited by other children to play. • Is not excessively dependent on the primary carer. • Is not overly fearful of other adults and children. Toddlers of the same age may not have the same levels of social competence. Much will depend on their personality, temperament, ability or disability. For example, a visually impaired toddler may be unable to read body language. A toddler with a hearing or speech difficulties may have difficulty in communicating with other children. A strong attachment to a significant adult is one of the earliest lessons in the development of social relationships. Social behaviour in toddlers is also influenced by the actions and behaviours of parents and other adults who are important to them. Toddlers are more likely to have stronger relationships with other people if they interact with other children and they are supported in their play by an adult. If interaction with other children is infrequent, their social development may be limited. By the time they go to preschool, toddlers have learned how to interact socially with other children. By the time they go to school, a rapid increase in social skills can be observed. However, if the six-year-old has not achieved a basic level of social competence, this could affect the development of relationships in the future.